Renee Reynolds & The "R" Factor Exchange Dance Band consists of a 4-5-piece rhythm section, 2-3 brassy horns and a three-person front. They also have a three-piece string section that will travel with them upon request. Their vast instrumentation allows them to perform everything from Big Band Swing to all the current hits of today. Either way you hire them you will be impressed by their professionalism and performance. They performed as the opening act for McFadden and Whitehead for over 7 years as well as their back-up band. This award winning band performed at Adelphia Restaurant in Deptford NJ, at a benefit to raise money for the American Cancer Society. 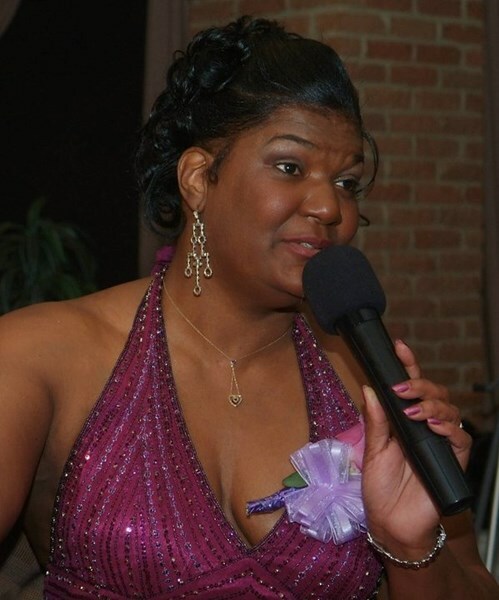 Every year in November they will be hosting the "Pink Diamond Gala Ball" in Memory of Teal D. Reynolds. Ms. Reynolds legacy will continue thru this event for years to come. Most recently the R Factor Exchanged has opened for the Russell Thompkins and the New Stylistics, The Ojays, Vicki Winans and Avery Sunshine just to name a few A List Artists. They have performed for the former Governor of Pennsylvania, Ed Rendell at a New Year's Eve event that he hosted and for former Mayor John Street at a benefit dinner. In April 2003, Ms. Renee Reynolds performed at the Pine Crest Country Club which was attended by Ed McMahon. The venues they have appeared at are: Chester Waterfront, Riverfront Museum, The Hershey Hotel, The Seaport Museum, Adams Mark Hotel, St. David's Country Club, Penn's Landing, Wiggins Park, Colleen's, The Top of the Tower, Cedar Gardens, The Penna. Convention Center, Union League, Farley's, Whitemarsh Country Club, Fernwood Resorts, Crown Plaza Hotel, Trump Marina, Brave New World, NBC 10 Fit Fest, The Manayunk Brewery, The Apollo Theatre, just to name a few. 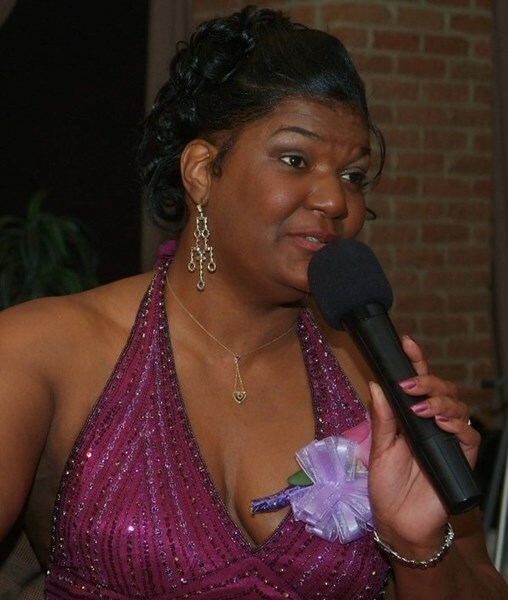 Ms. Renee Reynolds also toured in Canada, performing for The Jazz/Blues Festival. She is currently working on her CD entitled 'Always' which is due for released in late Spring. The orchestra is also available for overseas tours. No event is too large or too small. They will design a program that meets your budget and criteria. Theme events, NO PROBLEM... Your guests will be asking, where did you get this band? The Renee Reynolds & The "R" Factor Exchange is a high energy group of vocalists and musicians that not only sing and play instruments; they are there to entertain you and your guests. They believe that their main concern is making sure your affair is "An Exciting Musical Experience." Ms. Renee Reynolds says, you want to keep dancing all night once you've been to one of our shows. So what are you waiting for? A personal invitation? Pick up the phone or send an email to one of Philly's exciting dance bands before you miss out on "An Exciting Musical Experience". We are looking forward to hearing from you. 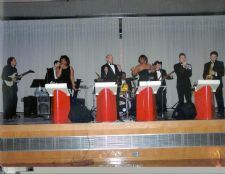 This band has received the ISES Liberty Award, Versatility Entertainment & Image Award and Rising Star Entertainer Award. They are fully insured. The Renee Reynolds Ingenue Dance Band were very professional and their talent, song selections and audience interaction were very impressive...they were SERIOUSLY JAMMING!! and we only hired the six member edition, the band also can expand to a nine member (horns included )band, we can only imagine what the full band would sound like...WOW! As a bonus the band has extensive experience in the details that can make an event or fundraiser a success and was willing if asked to help ( and did ) in any way they could to make our event a success. In a nutshell...we and our patrons were very happy and pleased with the performance of the Renee Reynolds Ingenue Dance Band! Although one of the musicians had a car accident and was not able to make the gig, the other two musicians took up the slack and provided an excellent program for our audience. They were very sensitive to the audience and took many requests. I hope to have them back. Recommended. Fabulous! They were great! The music was good and they kept us dancing all night. We felt we were at an old school concert! Renay is the best entertainer in town, Two thumbs up! Please note Renee Reynolds & The "R" Factor Dance Band will also travel to Langhorne, Trevose, Bensalem, Bryn Athyn, Feasterville Trevose, Huntingdon Valley, Beverly, Croydon, Holland, Abington, Cheltenham, Jenkintown, Levittown, Riverside, Riverton, Bristol, Elkins Park, Hatboro, Palmyra, Richboro, Warminster, Willow Grove, Wyncote, Burlington, Glenside, Willingboro, Dresher, Fairless Hills, Horsham, Moorestown.